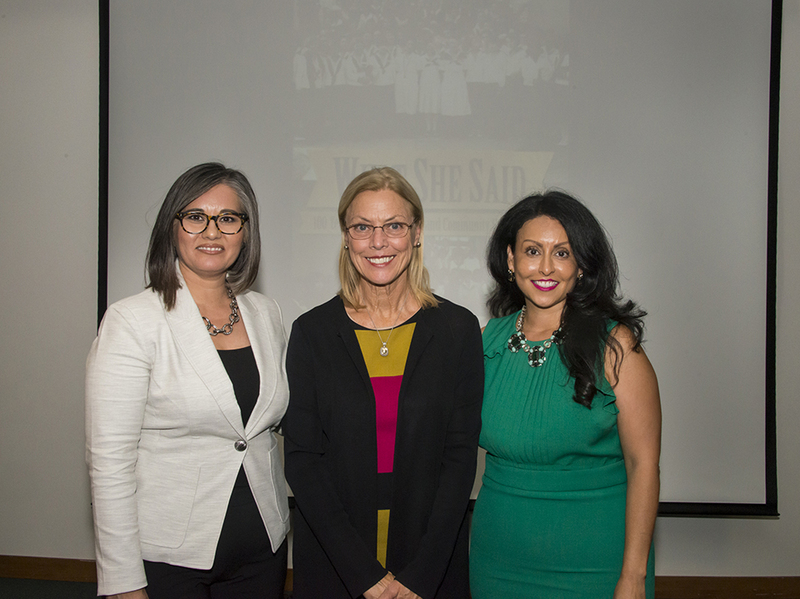 California State University, Northridge alumna Nury Martinez ’96 (Political Science) and her fellow Los Angeles City Council member Monica Rodriguez joined CSUN President Dianne F. Harrison in delivering remarks advocating for women’s political empowerment and civic action to a roomful of local activists, university leaders, students and faculty at the opening of the exhibition, What She Said: 100 Years of Women’s Civic and Community Engagement, Sept. 20 at the Delmar T. Oviatt Library. 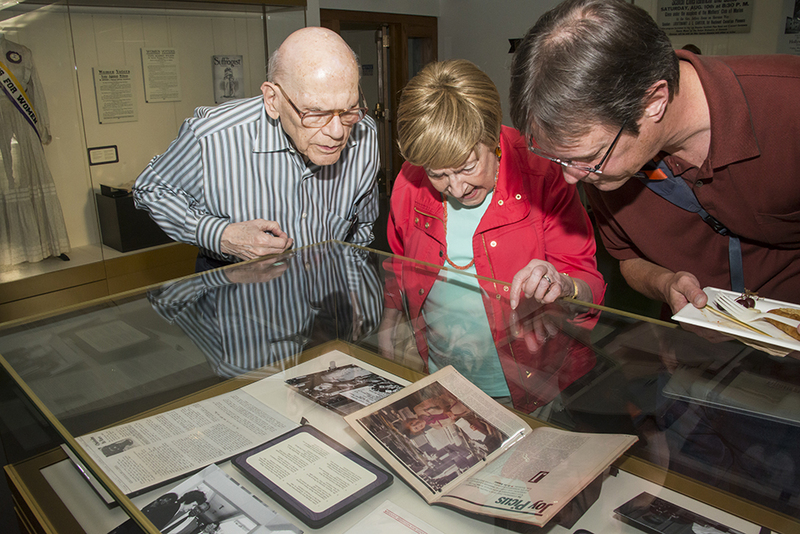 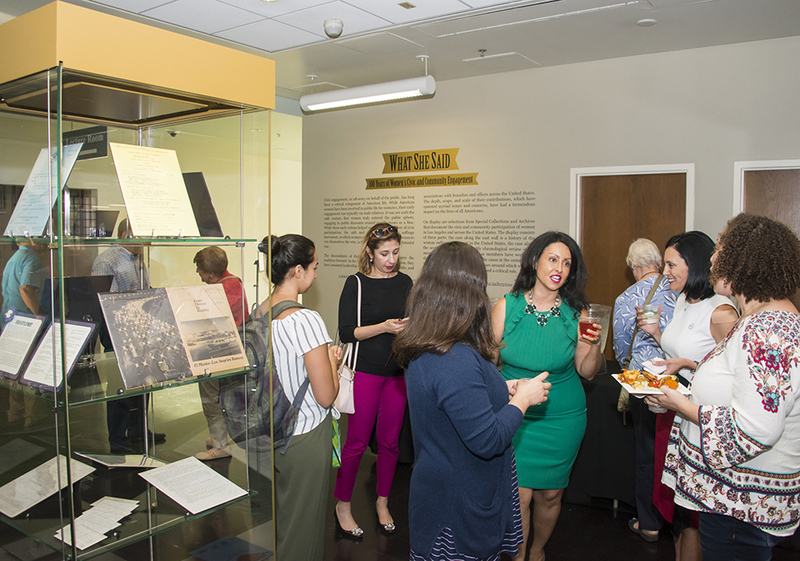 Harrison welcomed the City Councilwomen and the crowd of about 150 people who attended the opening reception for the new exhibition, which is open to the public and runs through July 2019 in the Oviatt’s second-floor Library Exhibit Gallery. 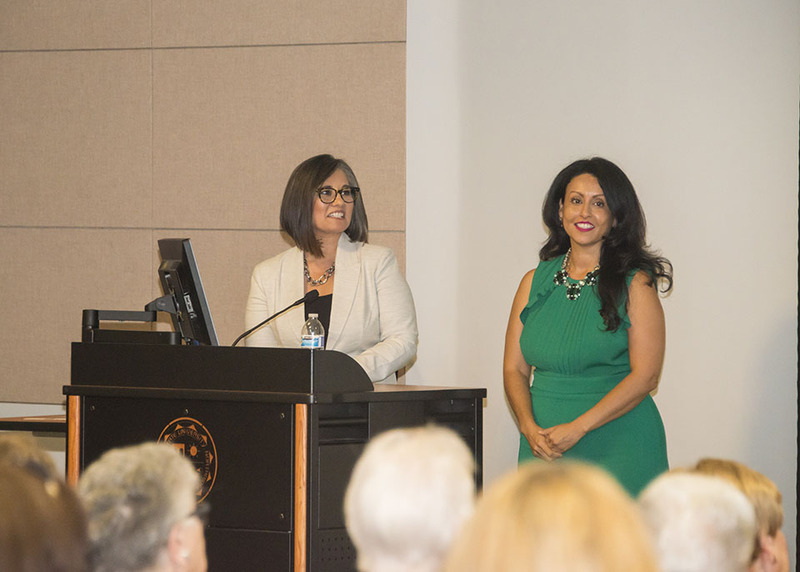 Martinez and Rodriguez, the sole female members of the LA City Council, made stirring speeches to the crowd, calling on more women to run for public office — and for all to help recruit, support, mentor, fund and vote for more women to elected office and appointed government positions. 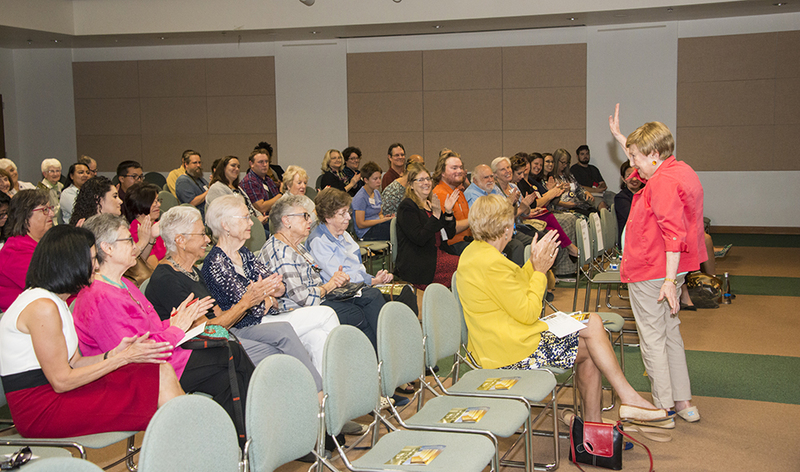 “We have a tremendous opportunity in November. 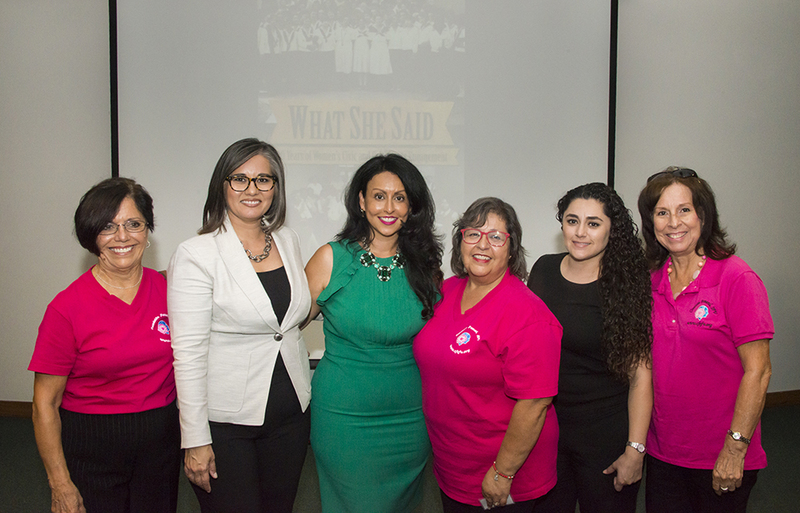 Never in the history of this country have we had more women running for office,” said Martinez, who grew up in and represents Pacoima. 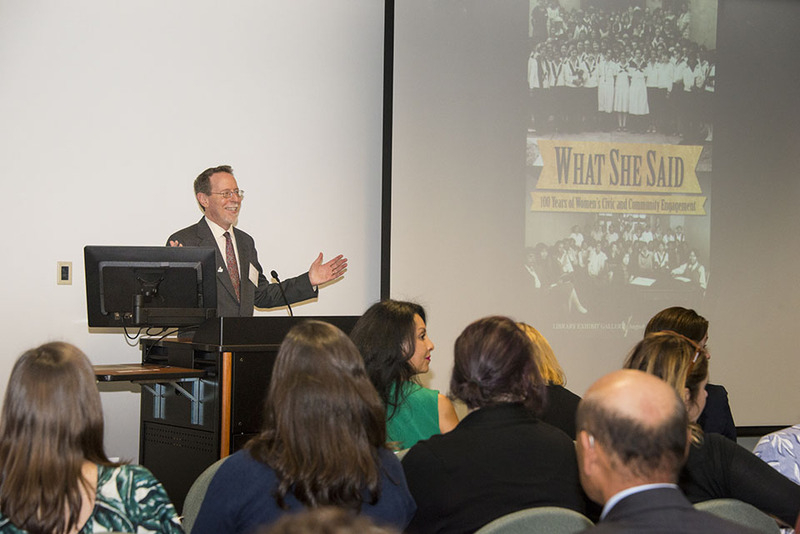 “Women are finally saying, we are going to lace up [our shoes], and we are going to run and win. 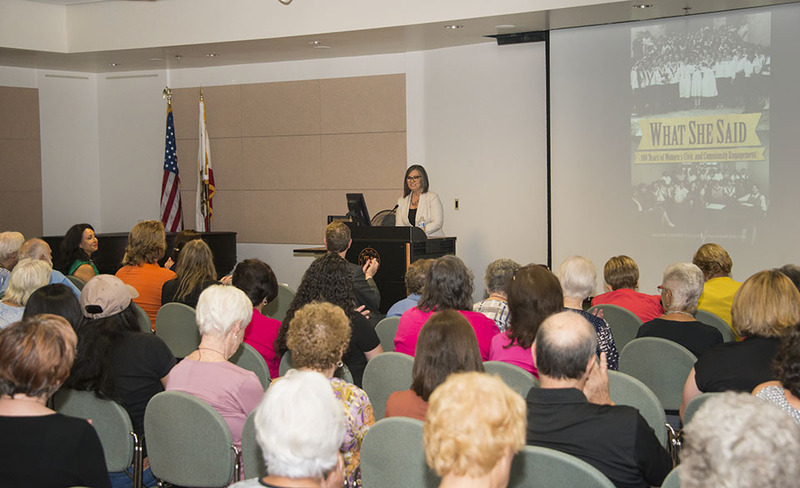 Win or lose, we are going to show that we can raise the money, and that we can turn out our base of supporters. 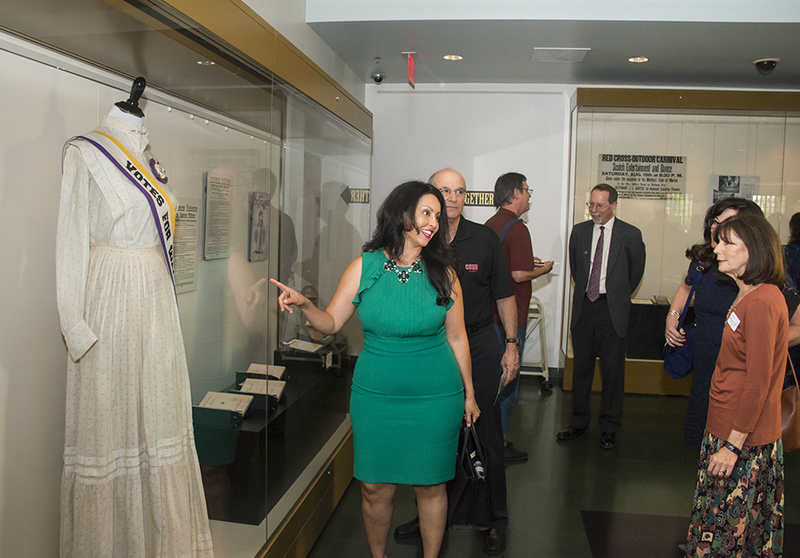 Martinez has represented LA’s District 6 since 2013, when she became the second Latina woman on the council — serving the nation’s second-largest city — and the first in 25 years. 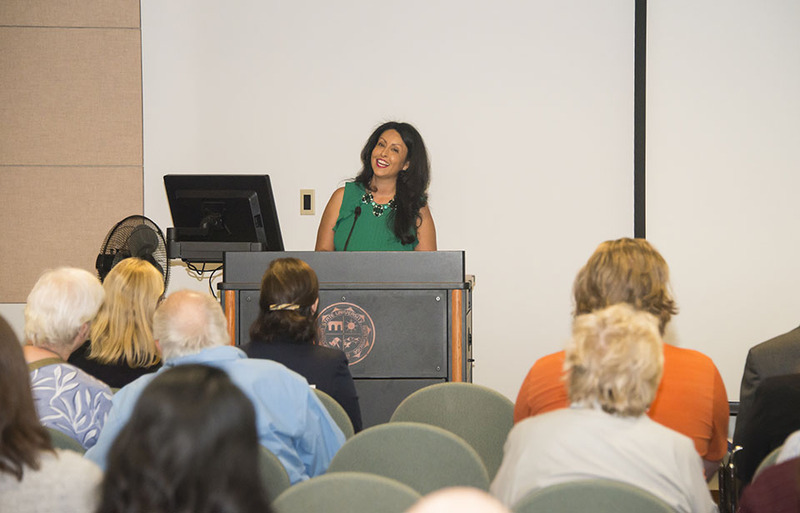 She was re-elected in 2015. 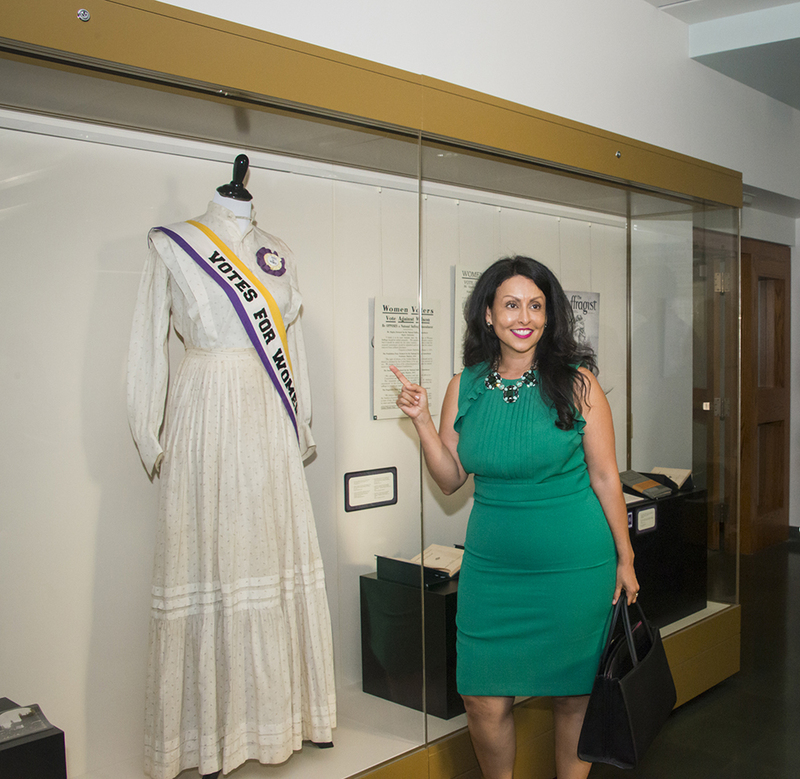 In 2017, Rodriguez — a native of Pacoima and Lakeview Terrace — became the first woman ever elected to represent LA’s 7th District. 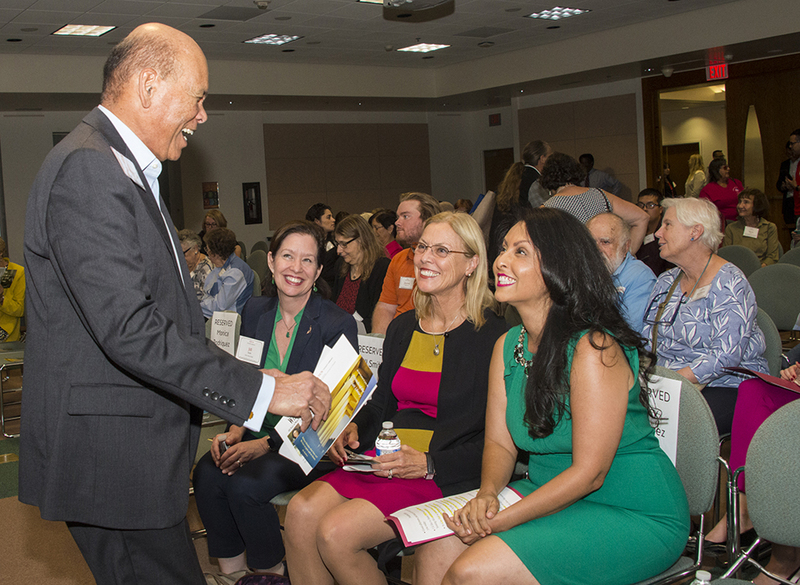 “There is a role for each of us to play in this work,” said Rodriguez, who established the city’s Small Business Academy to help women business owners earn city contracts through its Board of Public Works. 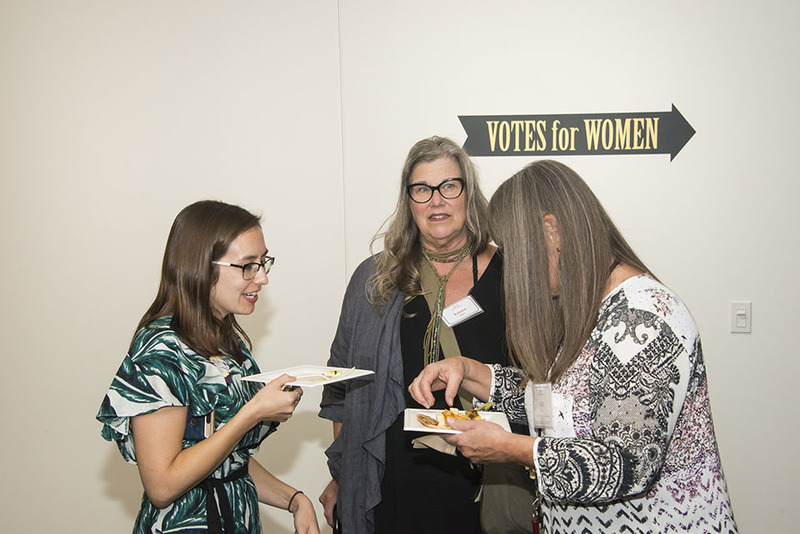 “There is a role that you can have to help elect more women, to help create an environment that inspires other women to be the best at what it is they want to pursue. 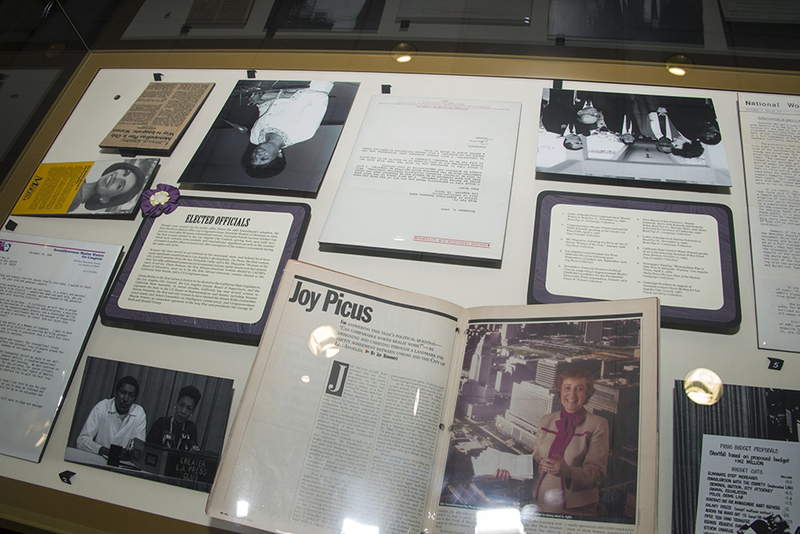 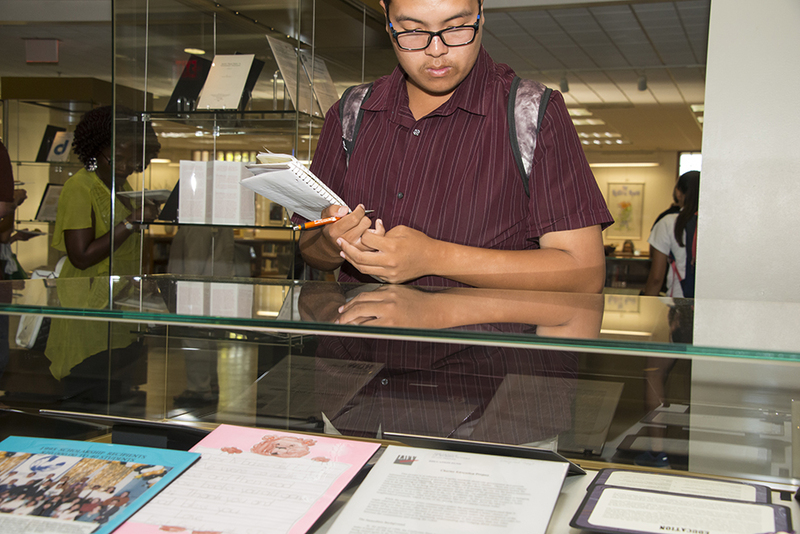 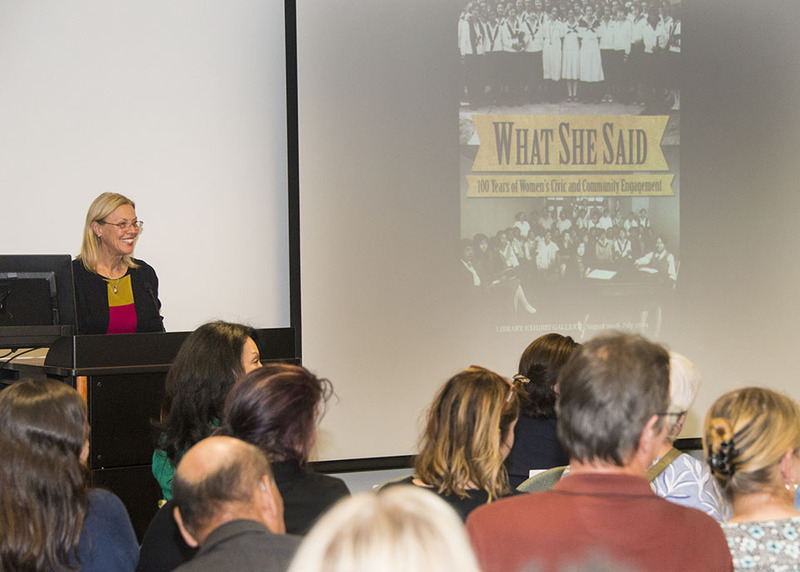 The exhibit, What She Said, is made up entirely of archival materials from CSUN’s Special Collections and Archives, including the Joy Picus Collection, who was the first woman ever elected to represent the San Fernando Valley on the LA City Council in the 1980s — and who attended the event at the Oviatt Library. 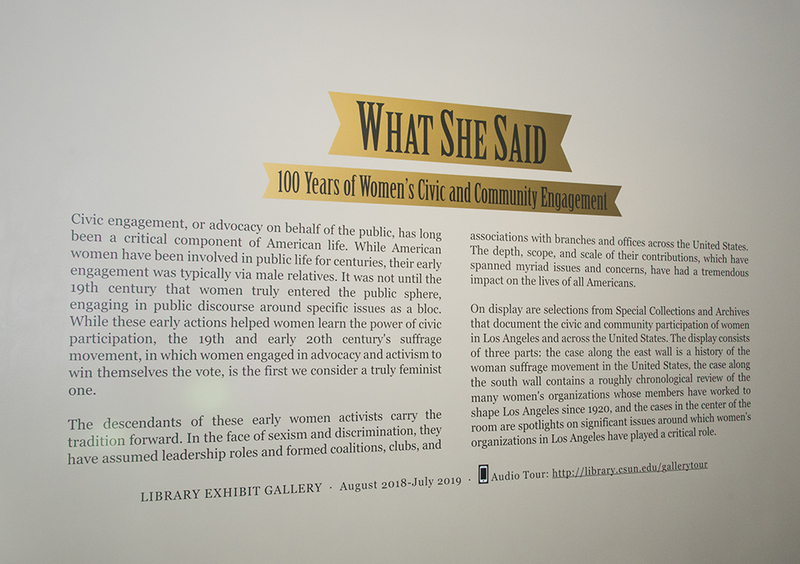 Also included in the exhibit is the LA League of Women Voters Collection, the LA Junior League Collection, the Encino Women’s Club Collection, the Canoga Park Women’s Club Collection and the Mothers of East Los Angeles Collection. 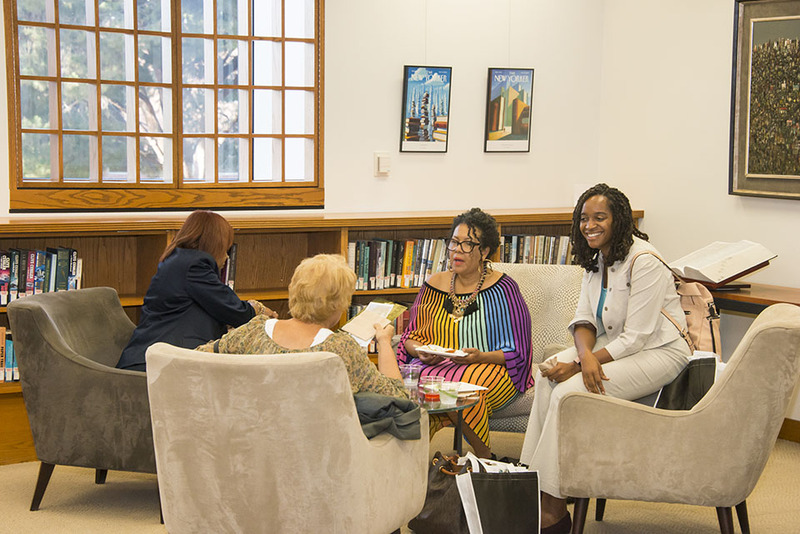 The reception was sponsored by the Friends of the Oviatt Library.